Some men want success. Some want to impress. Some desire to possess. God wants to bless and He would love to bless you. When He blesses you it satisfies all those other desires. Having God's blessing IS success for a believer. It is evidence that you HAVE impressed Him. And it allows you to possess all that comes with His favor. Men who want success or who need to impress or who desire to impress are really looking for the same thing - happiness. Each is in pursuit of what he thinks will make him happy. But the Psalmist assures that the blessing of God is the source of true happiness. 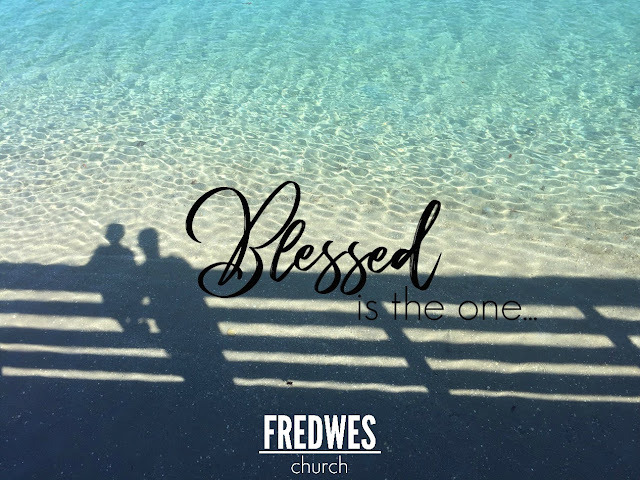 The word used here for happiness has several implications and all of them are good - (happy, fortunate, prosperous, and enviable) - are accurate renderings of the word for "blessed". A person who is blessed not only enjoys favor with God and all His benefits, but they also become a blessing to others. Those who live with or work with or worship with or hang out with a blessed person find that they are blessed by being with him. Do you know someone like that? Is there someone like that in your life? If so, thank God for them. If so, tell them how much you appreciate them. Learn from them. Perhaps the bigger question is, "Are you that sort of person?" Do you know God's blessing on your life. Are others blessed because you are around them? Does God's blessing reside in you? Does His peace follow you? Does His presence follow you? Does His power flow through you? Finding success may bless you but not many others. Impressing others will not bless them. Nothing you can possess will do much to bless. Live to be a blessing.